That widening in Langley is desperately needed. This was announced in April, not sure what impact the election will have on these 3 projects. They finally will tender twinning 2.5 km east of the Donald truck scales, they only announced this project about 3 or more years ago. Plus 1.5 km prep work (soil improvements for the road base) west of Salmon Arm and twinning 3.4 km west of Chase. Last edited by sundance; 18-06-2017 at 04:06 PM. twinning the yellowhead completely from manitoba to a vancouver terminus should be a national project, equal in scope to the building of the railroads. too bad the feds and provinces didn't get together and make this a gift to the nation on the 150th anniversary. so too TCH1. (edit) I drove the yh a couple of years ago from the start in manitoba to saskatoon; most of it is not only single lane, but old narrow single lane; slow and scary. i'll not drive it again until it's upgraded. Last edited by buildings; 18-06-2017 at 02:45 PM. Since when does the Yellowhead end in Vancouver? Isn't it Prince Rupert? Highway 5 in BC is also the Yellowhead so it ends at the Trans-Canada near Hope. The majority of traffic takes Highway 11 in Saskatoon from Saskatoon to Regina then on to Winnipeg, so there really isn't a sufficient need to twin from Saskatoon to Portage La Prairie, Highway 11 and 1 is already twinned and is only about 45 km longer then the Yellowhead. I wonder if Highway 5 could have more climbing/passing lanes where needed. Same with Highway 16, the BC side. I can't really see the BC NDP killing these projects. Not when there's federal funding involved. NDP or Green already announced they are killing the Massey Tunnel replacement bridge. My guess is they might kill Kicking Horse Canyon phase 4 too. Welp, guess we can kiss the Massey Tunnel Replacement Bridge bye bye then. I still doubt the BC NDP will kill the TCH projects because unlike the Massey project there's really not that much outcry against them, but who knows with these guys, so I guess we'll wait and see. wait why are the left opposed to the replacement bridge? it creates jobs; it will be a safer, more earthquake proof solution; and finally it will ease the crossing gridlocks experienced everyday almost every hour between 7am and 6pm. Green-suspend work and review alternatives. NDP-consult with regional mayors and then consider which course to follor. So in the end probably nothing will be done because the whole consultation process will probably last longer then their government. Last edited by sundance; 07-07-2017 at 12:05 PM. - And finally, the biggest one I think. It doesn't solve any congestion issues, in fact it might even make them worse. Unless the city of Vancouver tears 8-10 lanes over the Oak street bridge, and downs oak street, the traffic problems will still be there, just moved down into Richmond and Vancouver. Which is much worse, instead of backing up into what is mostly agricultural land at the moment, it will back up into Vancouver and Richmond, incapacitating flow not only onto the highway, but also any E-W travel in the area as traffic backs up onto the off and on ramps in richmond, and the corridors in Vancouver. I actually had a look at the engineering/planning documents, and there was not a single traffic study done in the surrounding areas, only in the direct vicinity (sounds familiar to us Edmontonians eh?). Also I don't see how this is a left/right issue, this is a planning issue. I'd imagine a bridge is easier and cheaper to harden against earthquakes than an underwater tunnel. Typically tunnels cost 2-3x the cost of a bridge. Let's say the NDP/Green go with a tunnel, would they just build a new tube and use both the new and old tubes, or would they build one tunnel wide enough for all lanes or two new tunnels for SB and NB traffic and decommission the old tunnel. Regardless a proper study with all bridge and tunnel options will take a year or 2 to complete, probably longer then the minority government will last. We will build, maintain and upgrade highways across the province, including completing Highway 1 upgrades to the Alberta border, and will upgrade interchanges and crossings to make our roads safer. Horgan made the announcement in Port Coquitlam on Friday morning, with Transportation Minister Claire Travena and Housing Minister Selina Robinson at his side. "These tolls are unfair to people who live in the Lower Mainland and to people who live in particular areas of British Columbia. If you live in Kelowna you don't pay tolls to cross a bridge," Horgan said. "You shouldn't have to pay tolls because of where you live." Elimination of the tolls was a key element of the NDP's election campaign this spring. Previously, when critics pointed out that the move would mean a loss of $200 million in revenue for the government, Horgan suggested the cost would be spread across the province. I've crossed a few times without paying but have never gotten a ticket, AB plates I guess. Good move because I noticed these bridges are underused with people avoiding them and putting more stress on other bridges and routes. Campaign promises apply. Last edited by Drumbones; 25-08-2017 at 12:14 PM. Likewise, I have driven across the Port Mann a couple of times since it opened and never received a toll ticket in the mail. I believe there's some kind of jurisdictional issue that prevents them from charging to out-of-province license plates. ^^Bad move because if what you want is well maintained, uncongested bridges the right thing to do is toll all of them. Agreed. I'm not normally a big fan of road tolls, but Vancouver/Burnaby/Richmond/New West/(Port)Coquitlam are a sort of pseudo-island that is only accessible by a handful of long, tall, expensive bridges. Putting an equal toll on all 7 of them to fund ongoing upgrades would make sense. I wonder if having a national-park-style toll would work for the bridges. One for four days, another for 30 and another for all year. ...Your heart may have skipped a beat upon spying the B.C. government signs trumpeting tax dollars at work in what reads like a latter-day miracle: “Kamloops to Alberta Four-laning Program.”Seriously? Is this something that could actually occur in our lifetime? Don't think this was mentioned yet but there are plans to replace the Bruhn Bridge in Sicamous. They really need to do something about Roger's Pass. This winter has been brutal for frequent closures due to the high snowfall. The best solution is likely to tunnel, as the railroad figured out 50+ years ago. Our national highway shouldn't be closing for a day at a time or more on a regular basis. Looks like they're mostly going to rely on fences and ditches to contain avalanches and rock falls. My understanding is that the Kicking Horse avalanches aren't nearly as big as what they have to deal with in Rogers. A couple weeks ago when it was closed, it was because one of the controlled avalanches was so big it buried one of the snow sheds in 40-60 feet of snow and 5-10 km of highway. Nary a peep re: George Massey Tunnel replacement except that they're telling people a bridge would be far cheaper than a tunnel. To be honest neither the NDP nor Greens want to build a highway bridge. So they'll delay and stall, request yet another study, until its time for the next election. Why are Albertans worried about a highway in BC? Aren't we all supposed to be boycotting them? I'm not going to let Notley tell me what to do in a little trade war spat. I was in Jasper and it looks like they are finally building a bypass lane around the east gate in Jasper NP. Great news about the Jasper park gate, especially the bypass kiosk! Next on the list is the twinning of Hwy 16 from Hinton to the JNP gate - need to move this from "planning" to the next steps. What happened to the Edson and Hinton bypasses? Those are worth spending money on. Last edited by sundance; 27-05-2018 at 09:51 PM. To put it bluntly, the Hinton and Edson bypasses need to move from "planning" to the next steps. Same with many infrastructure and transportation projects around the province... However, the NDP seem to have no appetite for anything beyond the bare minimums in regional highway improvements, like the much needed third-laning of the SW Henday, overdue since 2009.
having just driven Edmonton / Jasper / Kamloops / Merritt / Kelowna / Revelstoke / Golden / Edmonton for the first time in many years, I can say that many improvements have been made. (aside from Kelowna... that's a lost cause). I feel twinning from Jasper to Kamloops makes the most sense for Edmonton and northern Alberta to the coast. Hwy 1 is much improved except for east of Golden; don't know what can be done there short of tunneling. So that'll take care of the last section East of Golden. I hadn't found that last 10-15 km too bad in recent years, even in the winter, save for the occasional closure for avalanche control. Now the main work remains between Golden/Revy. That will need either large amounts of avalanche sheds or huge tunnels. CP Rail realized Rogers Pass was a terrible route 100 years ago because of the massive avalanche risks and tunneled under it. You wonder when our Federal government will figure it out. Hinton isn't too much of a priority. It's a mix of 60 and 80, there's only a few lights, and little cross traffic. Edson badly needs a bypass as it's right through their main street, 50 for all of it, with a ton of lights, pedestrians etc. A main trucking route shouldn't rumble right through town like that. Last edited by Marcel Petrin; 29-05-2018 at 10:53 AM. Reason: Board keeps breaking up the quote for some reason. ^ I agree that speed is an issue/consideration, however, there is a grand total of one traffic light each way in Edson, not a 'ton'. By my recollection, there are at least four sets on Hwy 16 through Hinton. You're correct! I guess it just seems that much slower due to the lower limit. As a too frequent driver of that route, I agree it seems slower. Especially when traffic gets large, trying to get back onto the highway is hard. ...but I don't think you'll see a bypass anytime soon. Not only does Edson politically not want it (the business community keeps saying it will "kill" the town as people are enticed to stop), but for the few minutes it saves on the overall drive, it is an expensive bypass. Yes, the NDP in three years still haven't fixed all the problems they inherited from 80 years of right-wing governments. Thanks Obama! ^^^ Even with just one set of traffic signals (really, just one? ), Edson still goes slow due to 50 km/hr. Having a bypass ensures that highway speeds will be no less than 90 km/hr. Same deal with Hinton for that matter. Jesus christ. I wasn't really placing blame here, but thank you for being you. Yes, the NDP won't resolve all the issues from previous governments, nor should they try, but they seem to have little interest in fixing/updating/upgrading the highway networks of Alberta. Thanks Merkle! From conversations I've had with people who would know things, there is some movement happening on SW Henday. No firm dates or budgets, but things are being discussed and pre-planned. When the SW Henday was first set out to bid, these plans were all on the GOA Transportation website, but after it was tendered, these plans were removed except the initial stage. I think Mason is feeding us a line by saying 'work is being done'. It's sad that it's not being considered at all during the 2018-2021 capital budget plan... so we will wait until at least 2021 before it's started, and probably then some. Oh I'm not talking about Mason. Apparently certain aspects of the initial build may not be as 'expansion-ready' as they were meant to be and there is a certain level of rebuild they will have to be done on other things. Sorry for being purposely vague here. I want it build as quickly and properly as possible too, but it's not just a matter of budgeting for it and dusting off the old plans. I guess I could kinda of understand that some things have changed, for example, the province now wants to consider Terwillegar/170st street as a provincial highway in the future, which will mean the Terwillegar/Henday interchange will need to be a full system to system interchange, which the current configuration wont support, nor would the 'ultimate' stage configuration... but we are probably 20+ years away from that. To relive the congestion problems, even if just temporary, can we just spend a bit of money and at least add a third lane from gateway to 127/135? This would make a world of difference while we continue to budget/plan for the full extension/modifications required for the long term. Yeah that would really make a world of difference, as would actually closing the roads that they said they were going to close. Anyway, this is way off-topic for this thread. Just wanted to pipe in to let you know that things are still happening behind the scenes. 127th street will still be closed, once the city builds out 135th street with proper ramp room for 111th street! The city is working on it. I agree, there is better places for this conversation. I will stop. Unfortunately, the SW portion is the hardest to expand/modify, as it's the concrete section that was essentially an experiment that they have not repeated since. I seriously doubt Alberta Infrastructure wants the expansion to be concrete, given how poorly the existing portion has performed. I know next to nothing about road building, but I would imagine that's going to present it's difficulties. So the Social Credit were right wing? Yes. And left wing too. It’s sometimes tough to slap a single simple-minded label on some things. Yes. Wiki says "His" (Manning) "government was one of the most conservative provincial governments in Canada"
I know where you are coming from. They had some bizarre ideas early on about banking and reverse taxation but these were never implemented except for a couple issues of government cheques back to the citizens. It starts just east of 111 street and ends North of Lessard. Concrete doesn't pose significant problems for adding a lane, asphalt however is more forgiving of freeze thaw cycles. What makes expansion expensive is adding lanes to the different bridges, especially if 4 lanes must be kept open. Yes it does. Completely different road base construction. I never considered compacting clay, mixing a soil cement base and compacting gravel that different. I wonder whether subsidized and modernized railways, double- or triple-tracked and fully electrified, are not the way to go in the long run. First for freight, and then for passenger transport. I suspect just in time delivery and truck transport in general, and air travel too for that matter, will turn out to be entirely oil-based, and will go down with oil. Rail is highly efficient, the tracks are possibly a lot lower maintenance than roadways, and generally designed for fast express routing. So it would be hard to beat - if people would use it. Even cleaner hybrid diesel electric would vastly cut pollution levels compared to trucking and bussing and planes. You boys on the Sunday evening sauce again? Has anyone taken BC Hwy 97 from Dawson Creek (via Prince George) to Cache Creek? or vice-versa? Yes, about 5 years ago on a motorcycle trip. Nice road and country. I'm not sure how much has been closed/changed on it due to Site C, but the loop up through Fort St John and Hudson's Hope was really nice, as well. But my understanding is a lot of it will be changed with the dam and reservoir. I drove from Kelowna via Golden, and there has been some work done around Rogers Pass, and west of the border at Yoho Park. It’s gradually improving. I wonder how much work could be done on Highway 5, without blasting. I’d guess north of Kamloops. That 30-50-30-50 zone for that stretch was less than great, but all in the name of progress. When I went to the coast in July they were ripping down the hotel and restaurant at the Rogers pass. On the way back it was gone. Too bad, it was a nice place that I used to stop at and stay at in the day. It had been empty for a few years. What I don't understand at the west or east gate is why there is no bypass lane for those going straight through like there is for Banff. My last travel through here took 30-40 minutes to get past the gate (long weekend friday afternoon - my fault for going at that time)... but why no bypass lane? It took me 10 seconds or less once at the gate to say "Edmonton" and they just waved me past. Thats what the article talked about, the addition of a 3rd kiosk and a bypass lane. They should use tax money and other funding for the national parks and just get rid of these gates altogether imo. I'm OK with user fees, but why not get rid of the gates and charge for parking instead? Charging for parking in a place like Jasper just seems wrong to me, and it would never fly with the locals. Charging for parking would probably have way higher costs to collect that revenue than simply charging at the park gate. 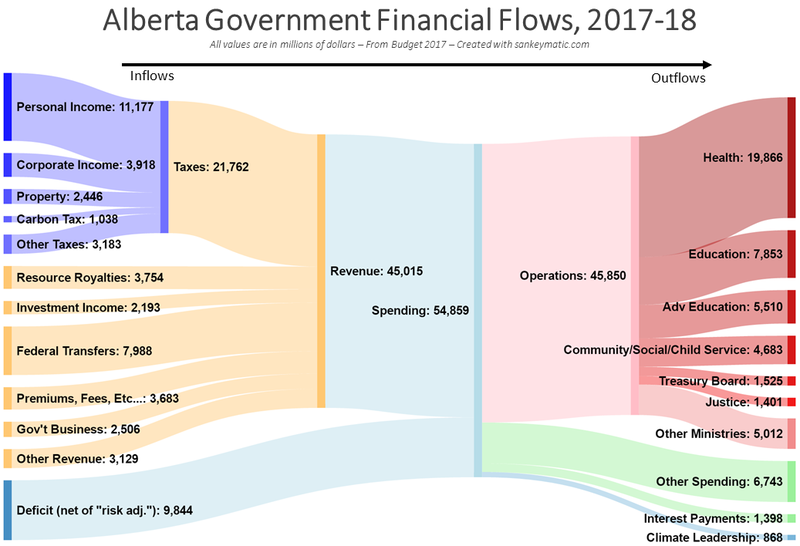 As far as how the parks are funded, though, user fees do just go in to general revenue and are totally independent of funding that Parks Canada receives. Or at least, it's my understanding that revenues and funding are more or less independent. I went through nordegg on my last trip to the coast and I had to pay. I argued that I was just going straight through to no avail. I told her it’s no wonder there are hardly any cars on hwy 11. She said ya you must take the transcanadas for exemption. Hated to give up $19 just to zip through to Field. Oh well. Now I know. You think? Eliminating entry fees would make it possible to eliminate the gates and all of the associated staffing and infrastructure maintenance costs. Parking machines would be needed, but they are automated. Enforcement and machine servicing could be another responsibility of the same staff who do other maintenance tasks like garbage collection. Well I've driven into and through the park and have never been charged so I don't see that as a problem. It will be nice to have a bypass lane. Time to review our donation of park land. Changing the funding or at least looking at different funding arrangements with the provinces most impacted is imo long overdue. Changing the basic nature of parks, including funding even ownership, has been done often enough that regular updating is called for. Charging for parking seems reasonable and should be a source of revenue but there are many other sources we could use all of which would ensure the whole parks system benefits. I think fees for access and use should remain and be expanded. Among those changes I would suggest: No fees for those living in the park they will already be paying in so many other ways under a new system that fees or no fees wouldn't make a difference, at least not for access, use maybe. No access fees for residents of the province that donated the land, lowest fees for use. In the case of Alberta that wouldn't apply to land lost as a colony of Canada. Of course many continue to see Alberta as a colony but officially provincial status started in 1905. Alberta was obviously still being operated as a colony when Jasper started in 1907 but it didn't become a National park until later. Any land willingly handed over or completely within a province should be available free of charge for residents of that province, with minimal use fees. Massive increase in fees for those that stop along the main roads to photograph or gawk at flora an fauna or rock and water. IMO That should still be allowed, for many it is a great way to see the park, but for all other users it adds expense and increases risks. Decreased fees for residents of other provinces, free annual access in exchange for data. Hopefully that will mean not having to stop to chat at the gate. Massive increase in fees for non-residents. Our parks are one of our advantages of being Canadian and like energy need to be used to benefit first the province and then the Nation above all else. Fewer non-Canadian visitors with higher total revenue would be the objective. Canada may want to keep the gates and Canada is running the show. If the gates remain I would suggest through traffic be allowed but with tolls depending on occupant status and vehicle, with heavy commercial vehicles paying the most (tolls only after twinning of course). I would also suggest fees for injuring or killing wildlife. Of course the commercial traffic wouldn't like that but then maybe we should be considering what kind of traffic is allowed through parks, would more rail be better? I wouldn't think so as we may have electric trucks before electric rail but then everything should be on the table to ensure those creating the expense pay the costs. Paying to hit wildlife seems more reasonable to me than photo enforcement of artificially low speed limits, and would offset the costs created. Just ideas. I thought 1'd post as this thread has been very useful, thanks the links and ideas, I've used it a couple times this year. On December 17, 2018, the Province released the independent technical review and announced next steps in finding a solution to solve congestion at the George Massey crossing. In January, the Province will engage with regional municipalities and First Nations to identify new criteria and goals for a Massey Crossing that better align with regional plans, particularly Metro Vancouver and Mayors’ Council priorities. This will be followed by further engineering work to assess appropriate bridge and tunnel options that are more in scale with community preference for the Crossing. The Province will also immediately begin a comprehensive suite of safety improvements to the existing crossing to address long-standing concerns from local communities and first responders. Work will include better lighting and drainage, resurfacing the tunnel approaches and upgrading safety systems. A small but traffic-troubled section of the Trans-Canada Highway in B.C.’s mountainous Interior will be undergoing a $121-million upgrade. On Thursday, the provincial government announced that it will be spending $71.5 million on a 4.4-kilometre section between Glacier National Park and the town of Golden. The federal government, meanwhile, said it will be adding $49.9 million towards the project. It would be nice to see Hwy 1 between Kamloops and Lake Louise and Hwys 5/16 from Kamloops to Hinton fully twinned. But that could be decades away, if that. I'd like to see some parts around Salmon Arm done, although it's great to see more parts of the Trans-Canada four-lane. I’d like to see some environmental studies done to see if the increased vehicle traffic wont cause harm to wildlife habitat, or the increased carbon footprint from more traffic going through there. But sort of hypocritical of their government to champion a road that uses vehicles burning fossil fuel when they oppose a pipeline to carry that same fuel. Good luck with that. I think streamlining it through Salmon Arm would do the trick. Take out a few sets of lights and widen it after you get through town. Elevate it over, like an interstate. ^^ You can bypass it about 1 km south, though admittedly it will take a lot more work. A northern bypass from Canoe will require a bridge over that lake. Thereby ruining the view for thousands of investment/retirement properties and the waterfront ecosystem. All to save what, 7 minutes? Build an iconic bridge a la Walterdale Bridge or nicer, and the opposite may hold true! "Let's buy our retirement property here"
"Well, the view is OK but it's missing something"
"We can always hope that they'll build a bridge"
"Yeah, that's what it's missing." A utilitarian-looking bridge doesn't seem to have hurt Kelowna at all.